In a previous blog post, we talked about how important it is for you to be honest with your bankruptcy lawyer, even if that means discussing personal, potentially embarrassing information. This advice is valid for any interaction with a lawyer, no matter what type of legal issue you are facing. Family law can be an emotional minefield, especially when you are going through a divorce or developing a time sharing agreement for your children. It can be easy to let your emotions color your perception, but you cannot let them cause you to lie or misrepresent the facts of your case to your lawyer. Your former spouse has a lawyer too, and if you lie about any of the relevant facts of your case, your former spouse and the lawyer will fight your claims and prove you to be wrong with the available evidence. Do not destroy your credibility by attempting to paint your former spouse as the “bad guy;” this is rarely, if ever, a successful strategy. Omitting details, even if you feel they are not important details, can be as destructive to your case as lying. This is because the legal strategy your lawyer develops for your case is customized to your specific circumstances. If your lawyer does not have all the details of the story, he or she cannot address them in your legal strategy, leaving you with a generic, ineffective case. Tell the whole story, even the parts that you feel make you look like a bad parent or spouse. Your lawyer may be able to determine ways to downplay these issues while focusing on your positive qualities as a parent. Your lawyer also cannot determine if you are getting a fair settlement with regard to child support, spousal support, or your property division if he or she does not know your entire financial standing. Remember, your lawyer is on your team. He or she cannot work effectively without the tools to do so. When you are interviewing potential lawyers to handle your case, you are looking for lawyers you feel you can trust. Your lawyer also needs to be able to trust you. If your lawyer determines that you were not truthful, he or she may feel that he or she can no longer serve you in good faith and opt to withdraw from the case. Do not put your lawyer, and yourself, in this position by being dishonest about your case. 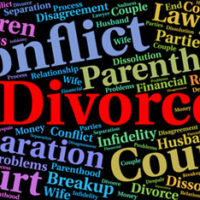 If you are considering filing for divorce or if you are engaged in any other type of family law dispute, work with a compassionate, experienced family lawyer who can accurately represent your case and help you reach a favorable solution. At Goodblatt · Leo in Orlando, we are committed to our clients. We will not judge you, no matter what lies in your past.